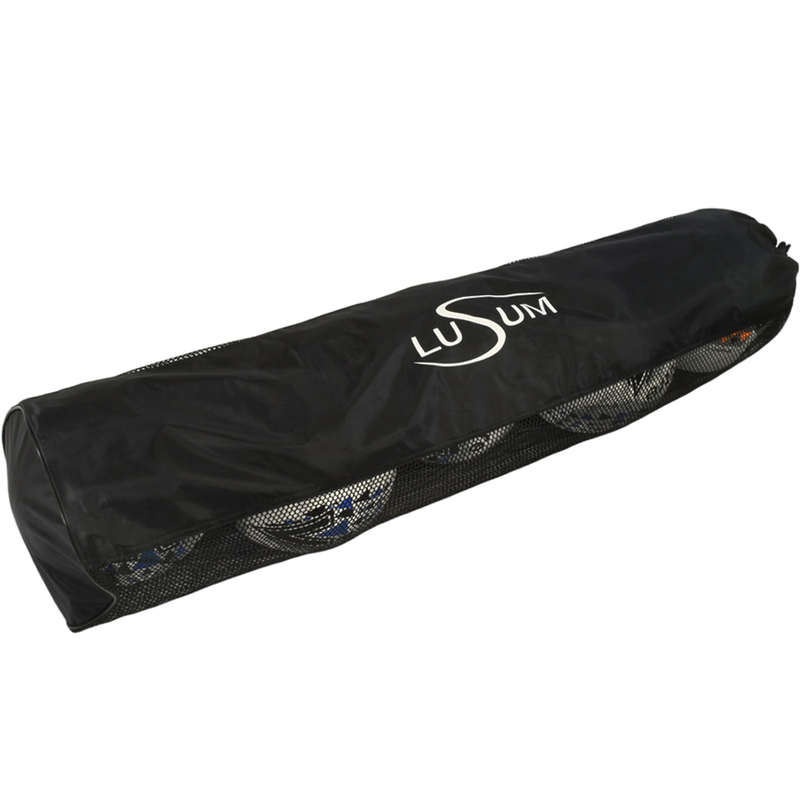 The Lusum 5 ball tubular ball bag is the ideal bag for transporting your balls to and from the pitch. It is capable of holding up to 5 x size 5 fully inflated footballs or netballs and has a mesh panel which allows the balls to air dry when damp. With a drawstring closer and a shoulder strap it really is the bag of choice for most coaches.